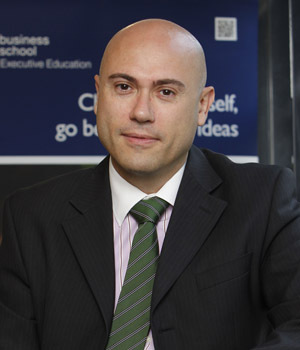 Manuel Alonso Coto, PhD is visiting professor at COTRUGLI Business School and Director of Innovation; Digital Transformation & Marketing, Executive Education, IE Business School. He has received PhD in Economics (Thesis about digital business in Spain), King Juan Carlos University, Top Management Program (AMP), and Chicago Graduate School of Business &IE Business School. He graduated Executive MBA at IE Business School and Master in Foreign Trade, EOI Business School. He completed the Postgrad in Business Administration (with a focus on Finance), UNED University, Postgrad in Psychology (with a focus on Advertising), and UNED University. During his career he has worked as a Director of Marketing, Executive Education, IE Business School, Director of Digital Marketing, Executive Education, IE Business School, Director of Customer Oriented Services, IE Business School, Director of Operations, ielearning.net, Director of IT/IS, US Department of Spain, Spain & Portugal and Director of Manufacturing, Agrapisa.